Adverse drug reactions (ADRs) are one of the leading causes of mortality in health care. Current ADR surveillance systems are often associated with a substantial time lag before such events are officially published. On the other hand, online social media such as Twitter contain information about ADR events in real-time, much before any official reporting. Current state-of-the-art in ADR mention extraction uses Recurrent Neural Networks (RNN), which typically need large labeled corpora. 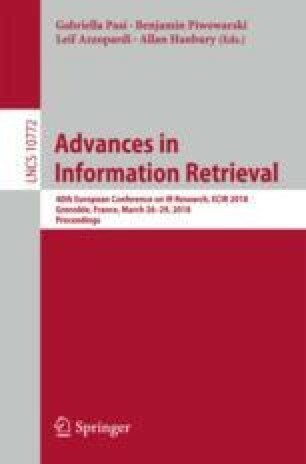 Towards this end, we propose a multi-task learning based method which can utilize a similar auxiliary task (adverse drug event detection) to enhance the performance of the main task, i.e., ADR extraction. Furthermore, in absence of the auxiliary task dataset, we propose a novel joint multi-task learning method to automatically generate weak supervision dataset for the auxiliary task when a large pool of unlabeled tweets is available. Experiments with \(\sim \)0.48M tweets show that the proposed approach outperforms the state-of-the-art methods for the ADR mention extraction task by \(\sim \)7.2 % in terms of F1 score. M. Gupta is also a Principal Applied Scientist at Microsoft.